 Log In needed $1,790 · 6 Saddlebrook Gardens NE, Available Now Rent to Own! 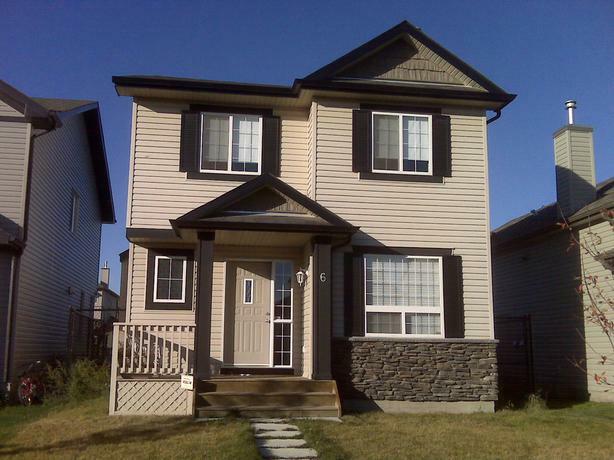 Live in this fabulous 3 bedroom, 2 storey in Saddlebrook. This home features a south facing front deck. Enter the main floor with living room, dining room, family room and wonderful kitchen with cabinets with spacious counters and a portable island. The dining room has access to the back yard, deck and detached garage. The open stairway overlooks the sunny family room, kitchen and dining room. The master bedroom has a walk-in closet and bay window, and bathroom has a soaker tub. Available now Rent to Own! Be the first to reserve this property today! Call Sheldon now at 403-554-6943 for more details, or see our website at www.empireciti.com for this and other rent to own opportunities in the Calgary, Airdrie and Okotoks areas!